On January 18th, the Medicines Discovery Catapult (MDC) was officially launched at Alderley Park. Setup to understand the challenges for UK drug discovery, with a focus on small and medium-sized enterprises (SMEs), the MDC has a brand new, state-of-the-art laboratory on the prestigious Alderley Park site. During the launch event, an exhibition allowed a selection of on-site companies as well as some external companies to showcase how they support the drug discovery community. 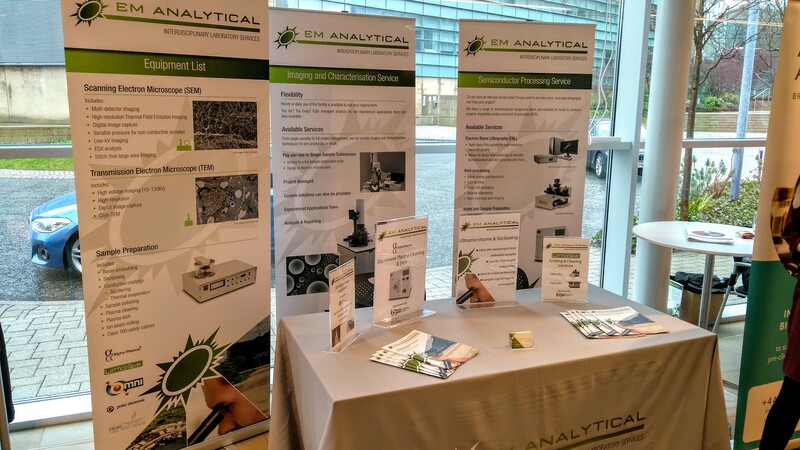 EM Analytical attended with a booth and made the most of the networking sessions. It was a great opportunity to network with other service suppliers as well as researchers and SMEs. We are looking forward to following up all the new contacts. If you think we might be able to help you with your application, or you are just interested in what we can offer, don’t hesitate to contact us!